Airbnb doesn’t just want to help travelers find a cool place for vacation. One of the company’s latest initiatives is helping companies locate unique spots for their next offsite meeting. Last month, Airbnb announced new initiatives aimed at the corporate travel market: creating a marketplace of sites suitable for offsites and meetings, promoting their Experiences product for team-building exercises, and providing relocation assistance to employees of companies that utilize Airbnb. It’s all part of the multibillion-dollar company’s strategic push to capture the business travel market. The business travel market, estimated to be worth $1 trillion globally, has proven to be Airbnb’s most consistent driver of new business, with professional bookings tripling year-over-year for the last two years. According to a spokesperson, as of last fall, business travelers comprised 15 percent of total bookings, and Airbnb aims to increase that share to 30 percent by 2020. 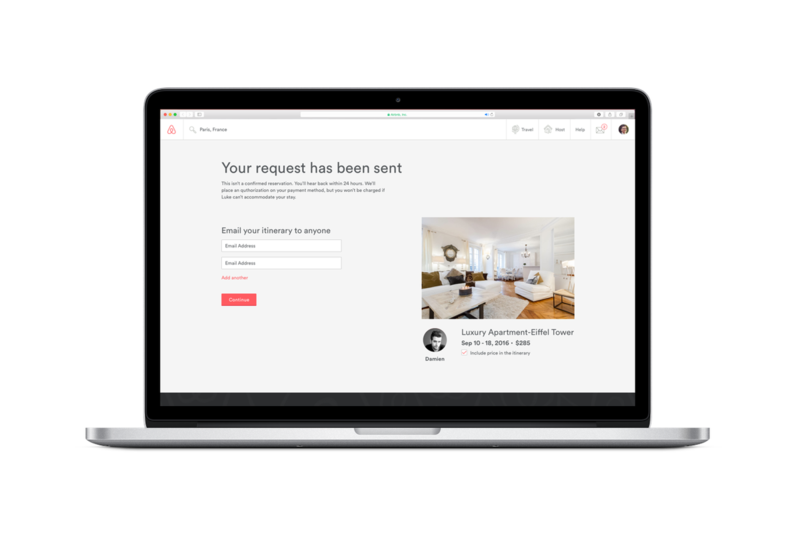 Airbnb has made incremental steps towards providing more services for business travelers. In an example of sharing economy synergy, a now-defunct pilot program with WeWorkprovided Airbnb access to shared workspaces. These new offerings reflect the changing nature of Airbnb’s audience. As Airbnb continues to expand from startup to a dominant player in the lodging industry—which may soon go public—it needs to grow. Valued at $31 billion, Airbnb is already worth more than most hotel chains. Airbnb has no plans to move into traditional workplace rentals, according to a spokesperson. Adding meeting spaces offers a new way to monetize existing inventory, helps hosts with larger properties capture more business, and capitalizes on a trend to book more interesting and engaging meeting spaces. It’s also another hook to capture corporate travel dollars. If a company plans an offsite at a downtown loft booked through Airbnb, why not use the site to book lodging as well? “Hotels are offering generic spaces, and nobody wants to do meetings there anymore,” says Shatford. A series of initiatives over time—syncing with business expense apps, creating a higher-tier of properties with more consistent accommodations, and launching a frequent traveler program—brings the room-sharing site’s offerings more in line with standard accommodations. According to Airbnb data, 700,000 companies have booked rooms for work, including Gap and Twitter. Shatford believes Airbnb will continue to add features that replicate more standard lodging. He expects some sort of partnership with certain properties to provide business travelers with some type of lobby space and work area. “The traveling nomad and freelancer, huge parts of the millennial crowd, can satisfy their entire trip requirements in one stop,” he says.